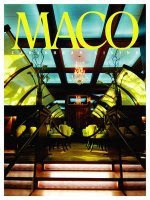 MACO Caribbean: The Sweet 7 Writes about "St.Lucia Carnival 2008"
Yes, I kept this quiet, but on Thursday June 12, 2008, The Caribbean "Architectural Digest-like" MACO Caribbean Living Magazine featured my article "St Lucia Carnival 2008 - July 18-22". P.S I am a subscriber for years. My first subscription was a gift from my mom. I suppose since she would not be around to guide me, she felt MACO would. LOL! CONGRATS NY!!!! I'm sooo proud of you! Big 'tings a gwan babygirl!